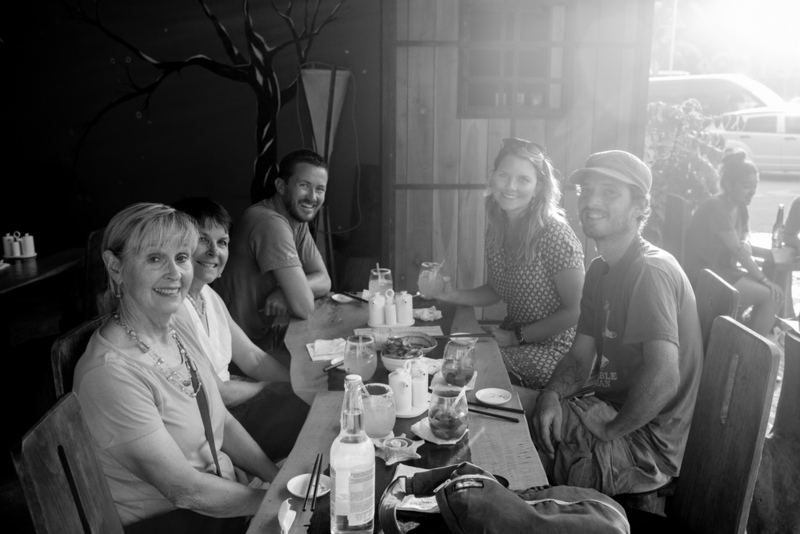 The hardest thing about this trip is being away from my family, particularly my parents. It's quite the change from my egomaniacal twenty-year-old self that wanted nothing more than to be far away from home. I would wander for long spells only thinking to call them every couple months and gracing them with my highly annoying “I'm more worldly than you” presence once a year. Now I call at least once a week, occasionally become weepy because I miss them and would sometimes prefer to be sitting in their living room watching Game of Thrones with my dad, or taking a long walk on our farm with my mom. Maybe middle age has made me a softy, but mostly I think my job as an RN has made me realize that life is unavoidably finite. I've also come to the astonishing and long overdue realization that my parents are amazing people and I really like spending time with them. When I see my mom and our cousin Dana at the airport we embrace and cry, then laugh because we're crying. We grab one of my mom's two suitcases. The second one is loaded to the brim with things we ordered and had sent to her house before she left. Because she is an overly gracious human being, she's hauled these random objects all the way to Mexico, including a full sized cast iron dutch oven. Yeah...she's a saint. 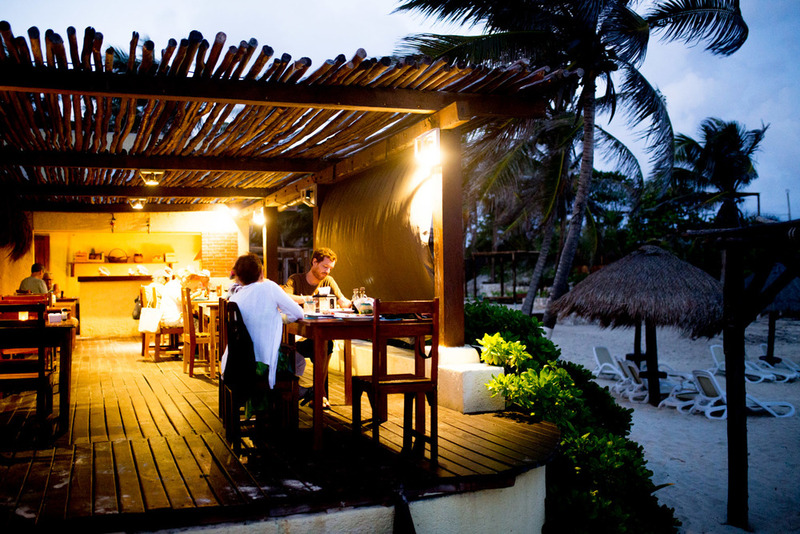 We've rented a large house on the outskirts of Tulum. 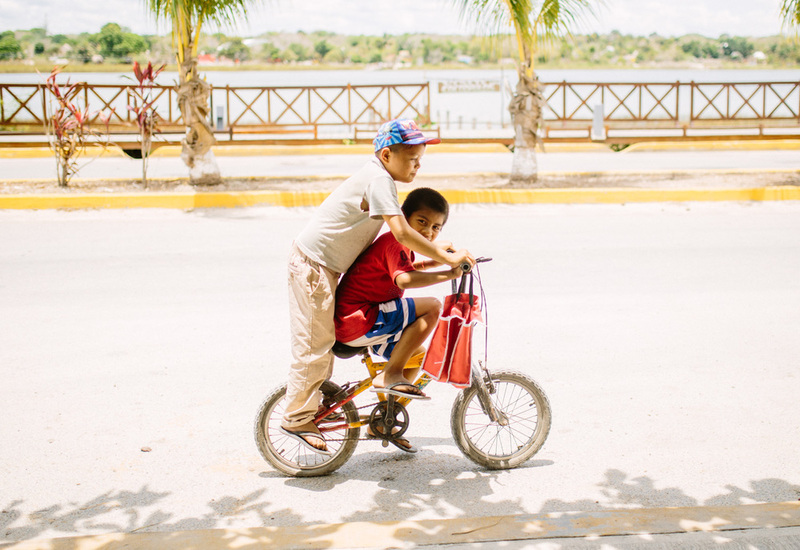 It's a nice break from camper life with its infinite water supply, washer and dryer, air conditioning, pool, hot showers and toilet seats...for some mysterious reason there's a shortage of these throughout Mexico. We've become perpetual non-planners, flying by the seat of our pants for most of the trip, so I'm a little nervous that we have nothing prepared to do in the area. Also we're tired from our last hasty week on the road, and what we'd really love is to lie around in our king sized bed, crank up the A/C and catch up on some TV series. They seem to sense our exhaustion with their parenting spidey senses, and reassure us that they don't want to spend the entire week running around sightseeing. They are, in fact, being so unselfish that we have to prod them for possible plans. 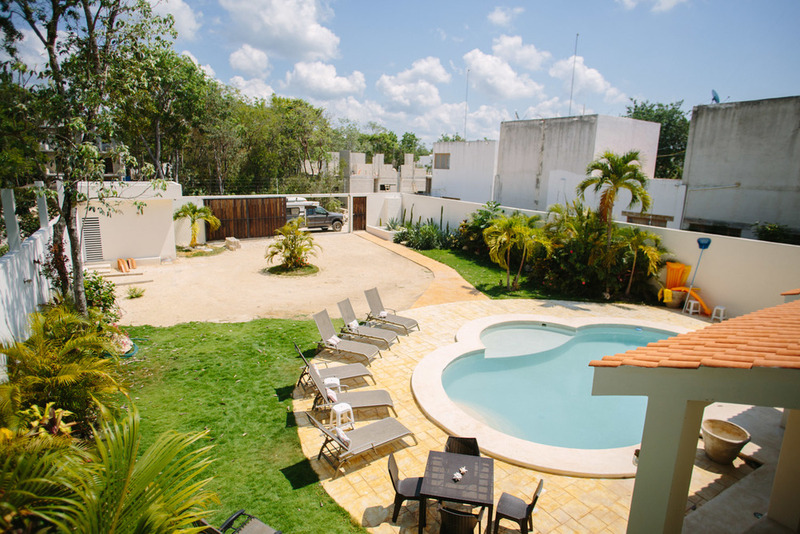 They settle on four things....shopping, walking on the beach, swimming in a cenote, and seeing some ruins (preferably ones in the jungle. I believe my mom's exact words were “I want to feel like I'm in an Indiana Jones movie”). Easy enough! 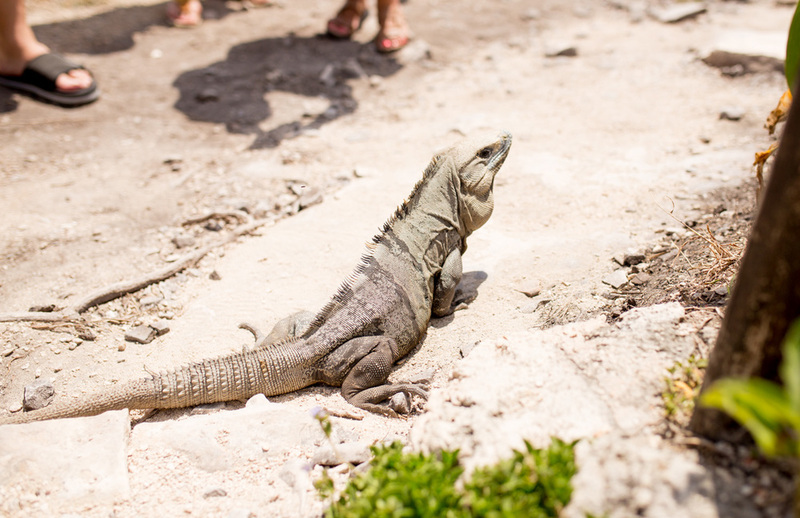 We visit the Tulum ruins. Their backdrop against a Caribbean-blue ocean makes them some of the most picturesque we've seen, but the mass crowd of people make them quickly lose their appeal. 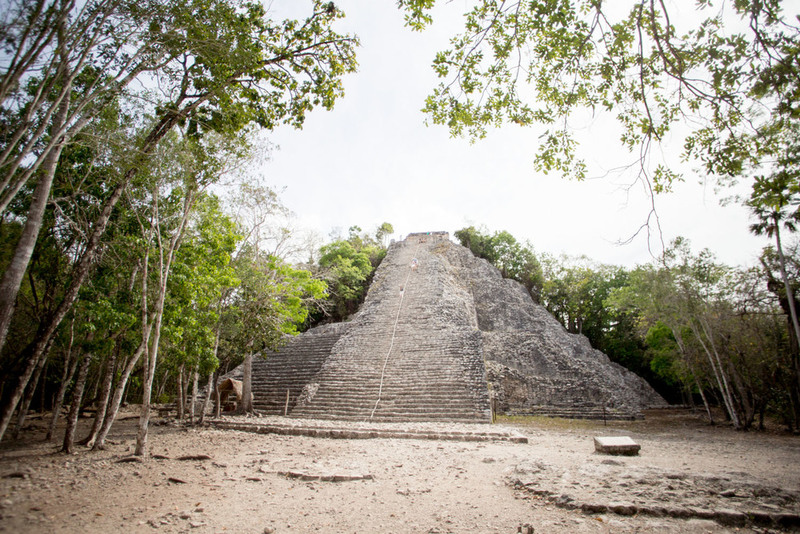 The Mayan site of Coban, an hour west of Tulum, definitely fit the Indian Jones bill. Uncrowded and tucked back in the jungle, some have yet to be excavated, with vines and tree roots encasing piles of thousands-of-years old rocks. We decide to get a guide and are happy we did. 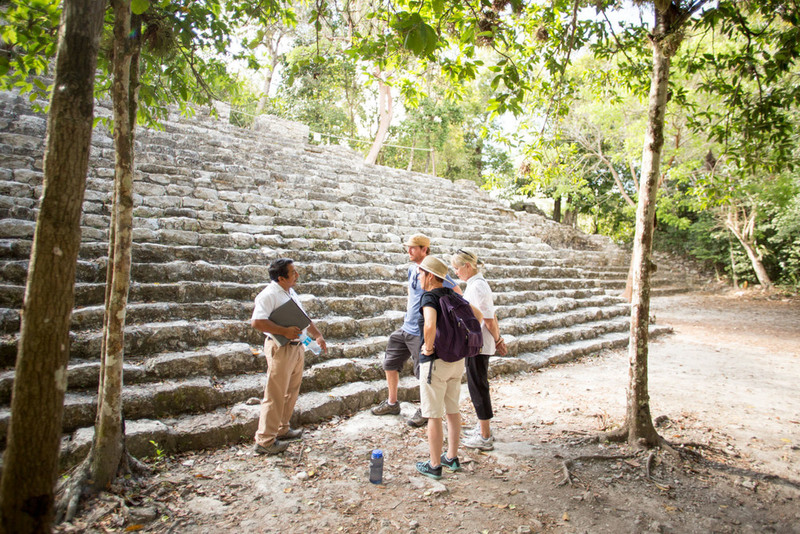 Alvarado, who is Mayan and helped excavate some of the ruins long ago, is knowledgeable and gives us some general insight into the Mayan culture that will make all our future visits to sites down the road more enjoyable. 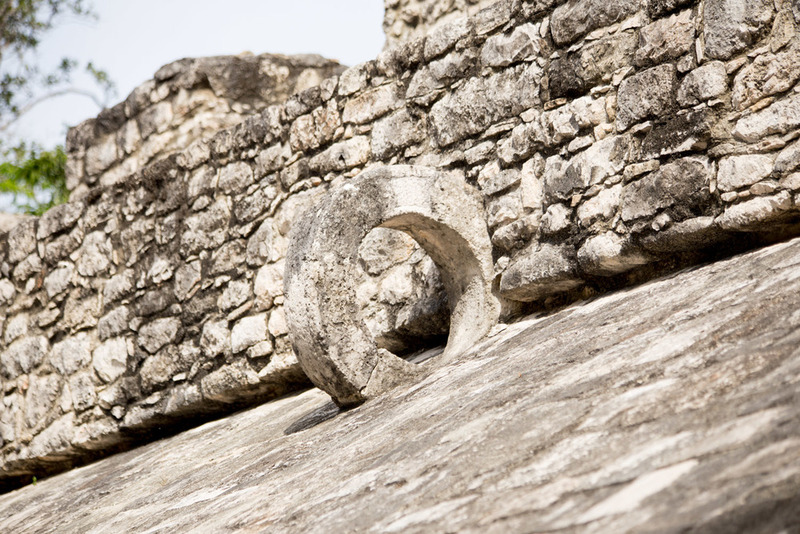 Original, intact ring used for a type Mayan ballgame. 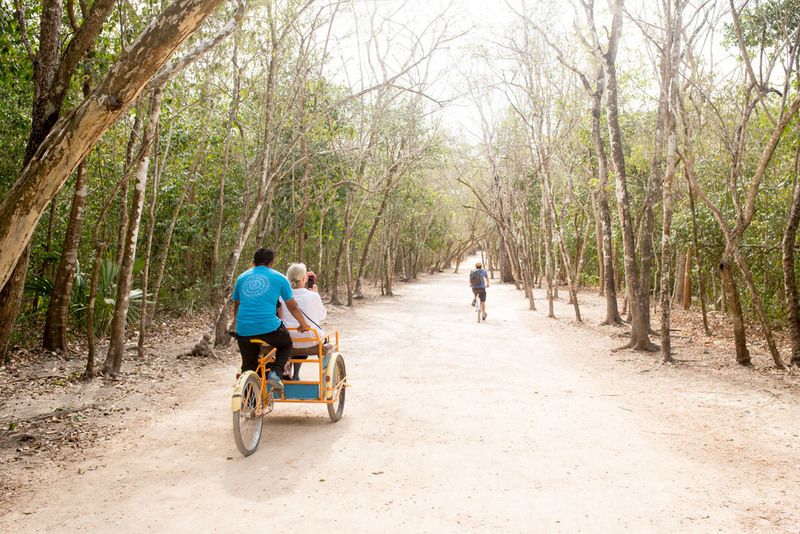 After the ruins we visit our first cenote, Multum Ha. 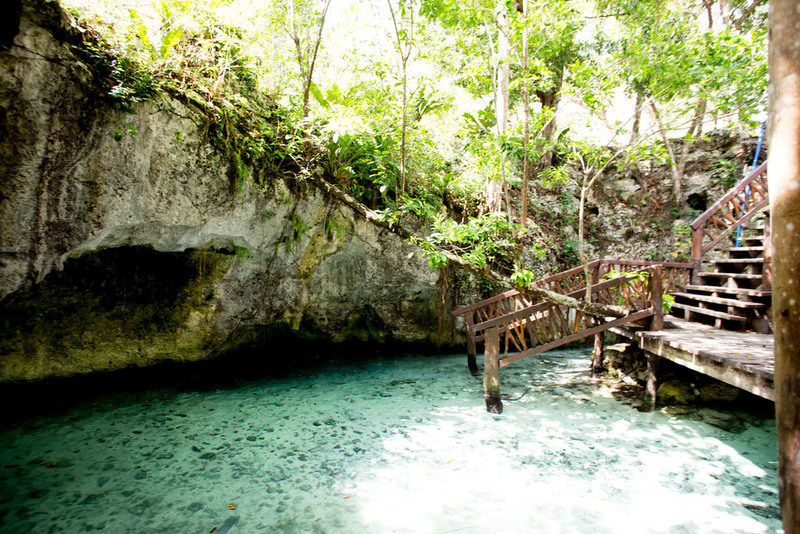 The dark staircase leading down is eerie until the illuminated crystal clear water makes an inviting appearance. With the exception of the bats hanging from the ceiling, a few tiny fish and two beautifully colored birds, we have the place entirely to ourselves. Taking advantage of the plethora of good restaurants in the area, we eat out way more than we usually would, and of course they rarely let us pay for a meal. 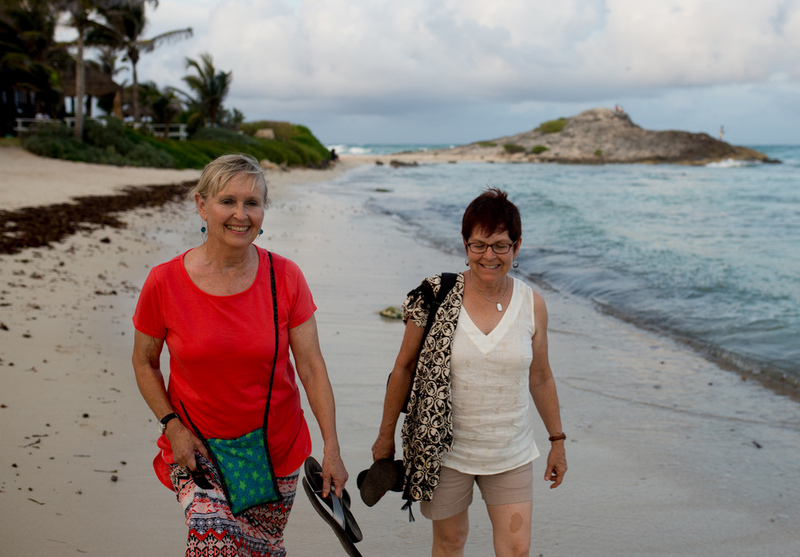 These two also have me stepping out of my comfort zone by convincing me to get a fish pedicure, letting tiny Garra rufa nibble the dead skin off our feet. At no point do we feel like we're having to entertain. Much of our time is spent sitting around the house chatting and relaxing. Malta enjoying the extra attention. The week goes by easily and too quickly. We couldn't have asked for more laid back, considerate guests. Having these two around for just a week has made being so far away from home a little more bearable. Before I know it we're back at the airport. This time there's more crying than laughing. After they're gone, the sobbing has stopped and I retain my composure, I begin mentally planning another visit, this time we just have to drag my not-so-keen-on-traveling dad on the plane.